Ekklisia Greek Rose Blend 1 Pound Tin. The rich, familiar fragrance of Rose makes this a popular choice. Floral and pleasing with a hint of spice. Though appropriate for use in any Mass, it is a popular choice for Marian feast days. 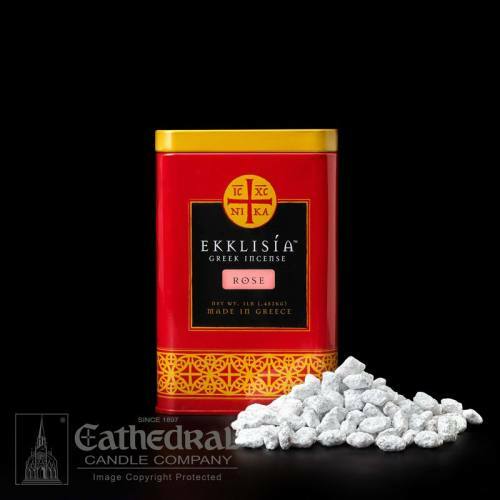 Ekklisia Incense is made from only select frankincense resins and the finest aromatic oils to create a rich, long-lasting fragrance and an unmatched, smooth-burning quality.